With the start of the winter, plenty of fresh vegetables flood the market. 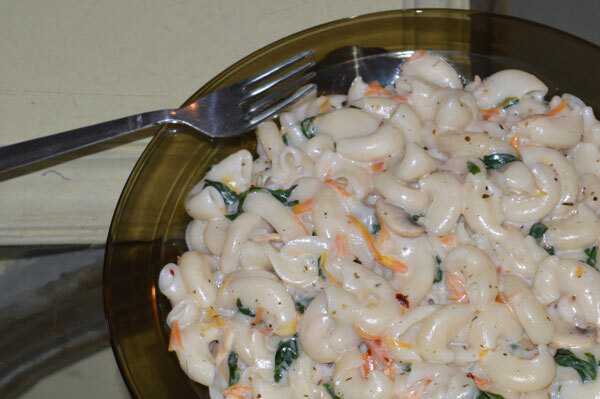 Selecting some of the nutritional ones like carrots, spinach and mushrooms, and combining with milk, cheese & pasta; this dish makes a complete meal. Best paired with Garlic bread, here is the recipe.